Competency in the Airway- Breathing – Circulation – Disability - Exposure (ABCDE) approach is required for working in the emergency department. The ABCDE approach is used for performing an initial systematic assessment of any critically unwell or deteriorating patient, and intervening as necessary. This method involves ordered examination, investigation and intervention, focusing on each major body system in turn. Any problems are addressed as they are identified with the patient being regularly re-assessed. The aim of the ABCDE approach is to improve the clinical outlook of the unwell patient, with or without a definitive diagnosis. 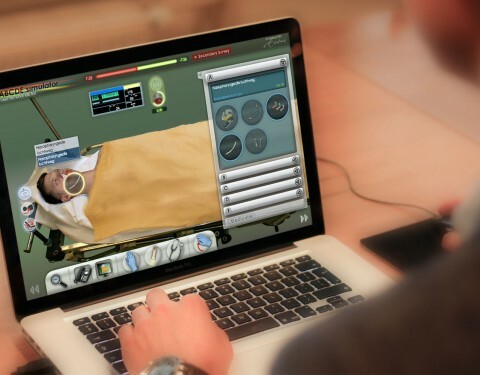 Using gaming and simulation technology and a high-fidelity model of human physiology (abcdeSIM), Erasmus University Medical Center, Technical University of Twente, IJsfontein, a bureau for interactive media, and the Dutch national primary care residency program have improved training in emergency medicine in a cost-efficient manner. 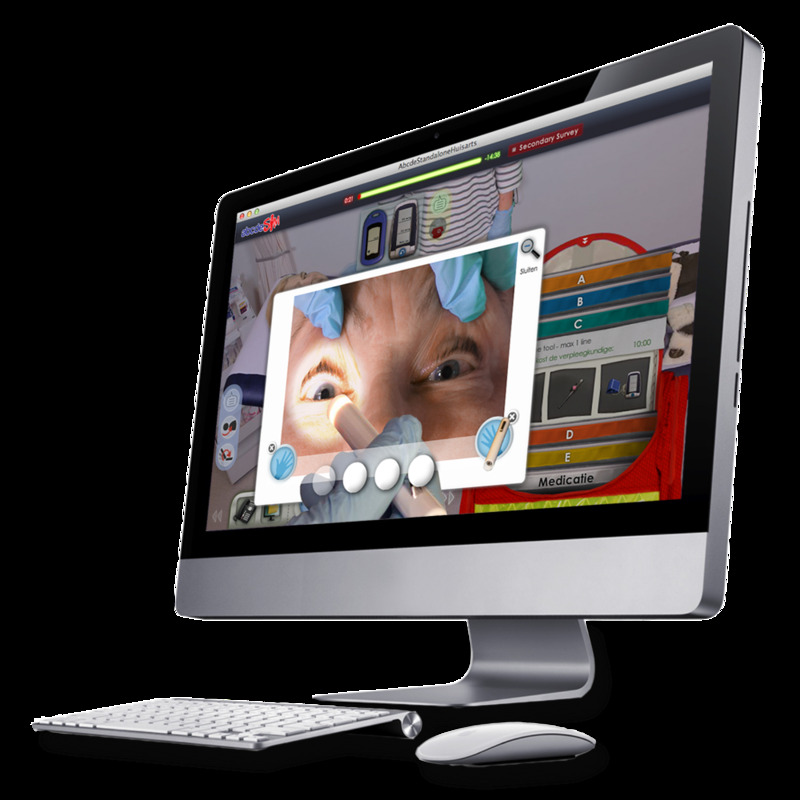 The abcdeSIM Serious Game provides an online simulated emergency department, where residents can apply and exercise their emergency care skills with virtual patients. Its design was based on analyzing the task demands of the ABCDE approach for stabilizing acutely ill patients. Departing from the background presumption that doctors have less and less time to educate students, the game teaches players to apply the ABCDE method without a doctor having to be present. In a realistic and immersive emergency department environment, doctors and nurses are challenged to care for the sickest patients. Players learn to accurately assess the medical condition of each patient, recognize life threatening illnesses and injuries, and resuscitate and stabilize in ordered priority. As of February 2017, abcdeSIM is also available in a special version for obstetrics. This one is in Dutch, but can be translated upon request. In the game, players have 15 minutes to stabilize a virtual patient. They don’t know what the problem is, just like in real life. To find out what kind of complications there are and which patients need their attention first, players have to follow the ABCDE approach properly. The game offers a realistic simulation of the human circulatory system to mimic complications as possible. Players can make use of all the tools and professionals that are also present in a real emergency. According to the developers, the underlying technique is extremely special. 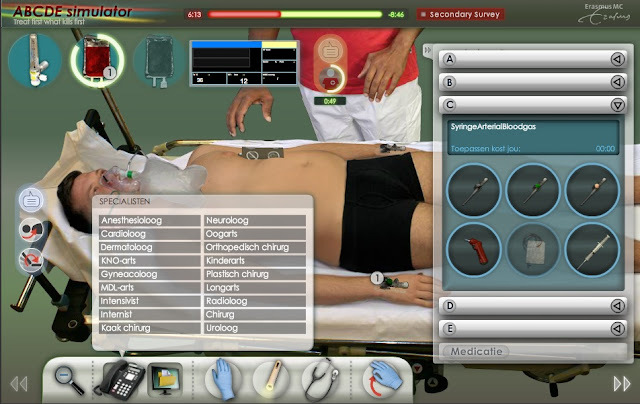 It is not a simulation where the options clicked on by doctors are connected to “right” or “wrong” codes. 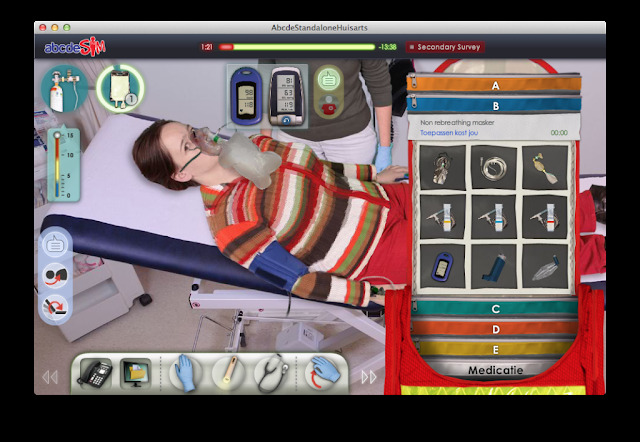 In order to properly simulate the interaction between all the processes, a true-to-life cardiovascular, respiratory and medication model was built into the game. For example, the model of the circulatory system simulates the pumping of the heart, and calculates, on the basis of the amount of blood, what the blood pressure is. Based on the user-selected drug dosage, the influence of the virtually administered medication on the welfare of the patient can also be determined to an exact level. The basis of the abcdeSIM is a faithful simulation of the human body and a universal method to apply first aid. 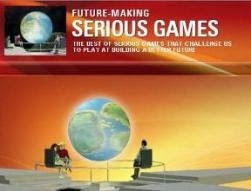 This ensures that the game can be easily customized for other specialties and other countries. abcdeSIM includes a high-fidelity physiological model that contains more than 200 parameters for circulation, respiration and consciousness. This model creates a realistic and immersive experience in which the players can see the direct results of their chosen diagnostics and treatment. After completing a scenario, players get feedback on what went well and what not. They have to match score thresholds before proceeding to the next scenario. 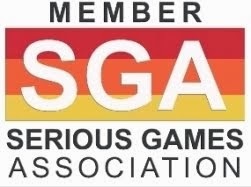 abcdeSIM is the first Serious Game in the Netherlands to be recognized as a full training tool. It has been accredited by the Royal Dutch Medical Society, the Dutch College of General Practitioners and various specialized professional associations for medical consultants, such as the Netherlands Association of Internal Medicine. abcdeSIM has become a mandatory part of training for residents and medical students at Erasmus University and has already reduced costs while improving skills. Since the implementation of abcdeSIM within standard ABCDE training for residents, the face-to-face training time has been reduced by 50% while maintaining the same learning objectives.